In Patch 7.23 Leona blazes the trail to glory this patch via her incredible damage output and rune synergy. 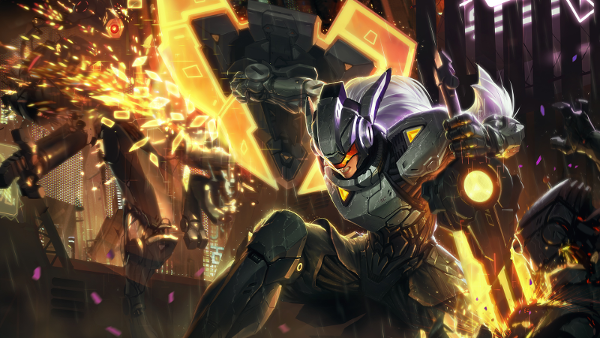 Meanwhile, Zoe made quite a ruckus this patch with her absurd long-range one-shots. If you're looking for the ultimate counter to her though, drop in a quick pact with Malzahar, who's doing even better than ever before. Ezreal [God Tier Marksman] - Ezreal continues to DOMINATE the rift with his Kleptomancy rune setup, and even if they nerf the build he'll likely remain on top with Press the Attack unless they nerf manamune too. Leona [God Tier Support] - Leona's simply synergizes too well with the new runes, especially the Aftershock keystone. She's extremely oppressive at all points in the game and even if you win a trade she'll just walk back to lane and kill you once you have no summoners. Be sure to go Precision secondary for maximum snowball potential. Malzahar [God Tier Mid] - If it's even possible, Malzahar is even MORE powerful this patch ever since the release of Zoe. As a complete hard counter to the new champion, Malzahar not only beats most match-ups, but dominates the champion everyone's trying to play. His voidlings and passive block her sleep, and his pushing ability makes it very difficult for her to CS...which also goes for every other match-up. Malzahar [Tier 1 Top] - The fact that Summon Aery multi-procs off a single Malefic Vision [E] makes him incredibly good at harassing. As a top laner, he's essentially faceroll as long as you don't run into any jungle ganks. Teemo [God Tier Top] - Similar to Malzahar but with the added bonus of an escape mechanism and free wards, Teemo's still just as strong before despite the Summon Aery nerfs. Vayne [Tier 1 Marksman] - After the release of the new Project skin you expect Vayne's win rate to drop, but it actually rose quite a bit. Her synergy with Press the Attack is only further amplified by her sick skin, which as everyone knows makes her deal extra damage (I'm kidding). Xerath [Tier 1 Mid] - Xerath has largely remained off the radar, but works extremely well with the Arcane Comet and Manaflow Band runes. Now that Summon Aery has been nerfed, he's stronger in comparison. Yorick [Tier 1 Top] - The main key to Yorick's success lies in the Demolish rune in the Resolve tree, which allows him to basically annihilate turrets during his split push via his undead army. Zoe [Tier 1 Mid] - As a mid-laner Zoe can snowball exceedingly hard to the point where she one-shots enemy marksmen as a long range sniper from the fog of war. She also has a crazy amount of utility, making her insanely slippery and difficult to deal with. That being said, she's reliant on initiating the skirmishes instead of getting jumped on, and new players may find themselves dying before her crowd control can go off. Meanwhile, her waveclear early on is also weak and abusable. However, she's certainly a very powerful champion and I expect her to only be stronger as players practice her more. Zoe [Tier 2 Support] - Support plays a bit different from mid lane, and I think Zoe does have some advantages and disadvantages to this lane. She certainly has an easier time landing CC from the fog since that's all she needs to concentrate on, but her roam is inconsistent as her CC can be difficult to land. This also translates to lane uncertainty as her lane allies may have trouble figuring out what to expect from their support.